Pizza tonight? 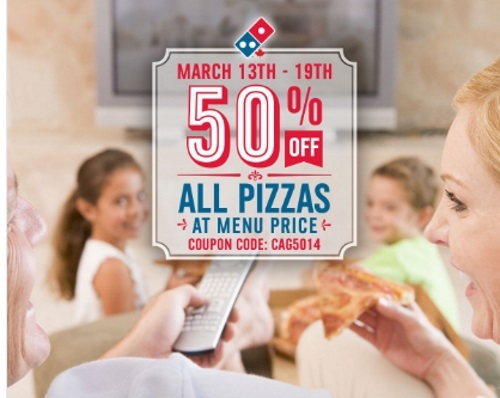 Dominos is offering 50% off all pizza at menu prices this week! Enter the promo code CAG5014 at checkout. Offer is valid March 13-19 2017. Click here to order Domino.